A day dedicated to eradicate women's depression. A day for every woman alive to claim that she's worthy of joy, self-love, and fulfillment. A day for women to gather together, as sisters, to celebrate and honor what it means to be a whole woman. 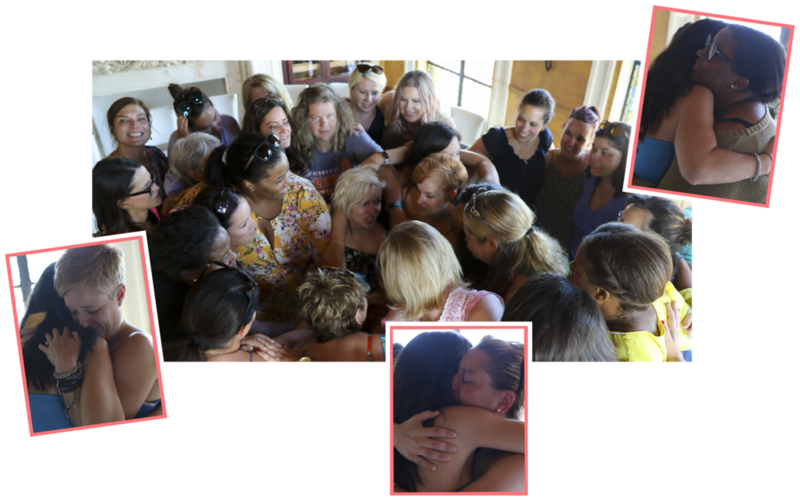 Where we support each other by reinstating sisterhood and community, educating ourselves about the science of women's happiness and empowering one another by creating a whole new definition of womanhood and happiness! Women's Global Happiness Day is a worldwide event to raise awareness, empower well-being and ultimately, end the women's depression epidemic. Statistically, women are twice as depressed as men and according to a University of Pennsylvania research study, women today are less happy than women were 30 years ago. We have more advantage, more opportunities, and more misery. Because women make up nearly half of the workforce, and women are still the primary caretakers of children and the home, women’s depression impacts everyone. It impacts businesses, the economy, and families. Too many women are suffering in silence, but we don’t have to live this way. There are proven solutions backed by empirical evidence. On Women’s Global Happiness Day, women are gathering at more than 50 events held in more than 10 countries on 6 continents to learn the science of women's happiness and declare that they are worthy of joy, self-love and purpose. Together, we will change women’s lives, and therefore the world, forever. Join us in this important mission. Sign up to receive occasional emails pertaining to WGHD, and info from its founder, Carin Rockind. We respect your privacy, and we will never share your personal information with anyone. Period.